I had my ultrasound done today. 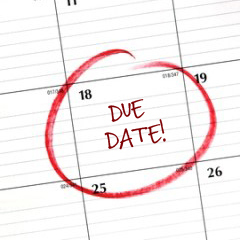 According to my LMP I'm due 4/22. I'd be 9.1wks today. Baby's measuring 3 weeks smaller (5.6 weeks) and there was barely a flutter for the heartbeat. I had blood work done to check HCG levels along with tests to check for blood disorders since I've miscarried 5 times. I have another ultrasound next Thursday. I don't know what to think. Has anyone have this happen and ended up having a full term healthy baby? ​My doctor prescribed me progesterone In case I'm not producing enough, folic acid, and baby aspirin in case I have a blood clot disorder.